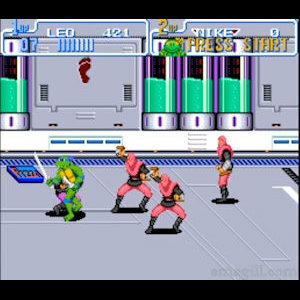 As a 90’s kid, it was undoubtedly the SNES-Genesis war that propelled the gaming industry through the roof, after the crash of the mid 80’s, and then the NES and Sega Master system slowly bringing it back around to the mainstream. So many classic games were created and introduced, and so many games considered the best of their respective series are indeed on the SNES. The games still hold up strong today, due to the classic graphics and nostalgia. These are my top 20 SNES games, both similar and different from Eric’s list. As a sidenote before I begin, I know that there are three GLARING entries missing: Earthbound, Chrono Trigger and anything from Mega Man. This is because I didn’t play any of them till I was in my mid 20’s. If I had played them as a kid, I would certainly have them in my top 20, if not my top 10. I feel a tad ashamed of myself for this entry. 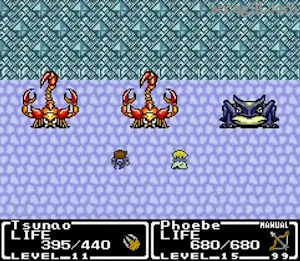 Mystic Quest, is, by all rights, an awful Final Fantasy entry. It’s the easiest FF game, has the silliest one-dimensional-at-best characters, a ridiculously simplistic storyline, you can save anywhere at any time, and the exploration is so basic and uninspiring that you’d think that the developers of this game made it in their sleep. I have no excuses for why I love it so damned much and hold it so close to my heart. Well, there are a few reasons; the chief among them is the absolutely outstanding soundtrack. Just listen to the boss music or the regular fight music, or even the final boss music. It’s just friggin awesome, and it gets me pumped to this day. 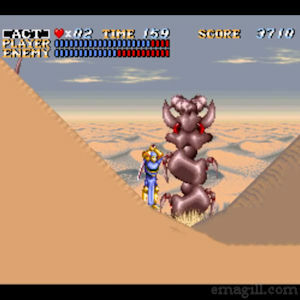 I have the opinion that FFMQ has the best soundtrack of all SNES games, and I know how lofty a perch that is. FFMQ also emphasizes fun with its ease of access. The battles are fun, if monotonous with the battle damage the baddies show, the magic spells and weapons all look ridiculously cool on screen when using them, and it’s just...that. Fun. It didn’t need anything else. Of course Super Mario Kart is in my top 10. Super Mario Kart needs no explanation for why it always should be ranked a top 10 SNES game. Duh. Hell yes, Donkey Kong Country. 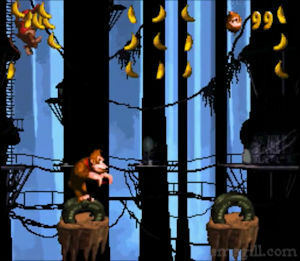 Another tough as balls entry (third behind my 7th and 6th entries), Donkey Kong Country is an unforgiving yet extremely addicting game that is a tad underrated. 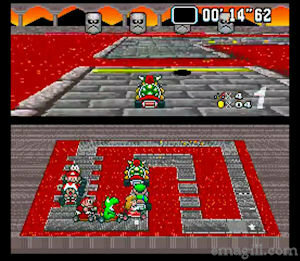 A side scroller at heart, it also has a Mario-style overworld with different themed stages to defeat while having a unique play style that is a bit tough to explain. 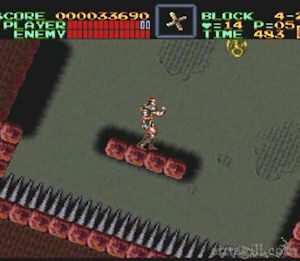 Yes, there are attacks, and you can jump on enemies like Mario, but the graphics are far better and it has a smoother feel. 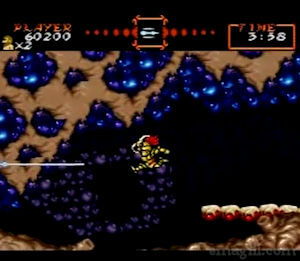 The music, characters and graphics are all nostalgic and awesome, and it’s a shame that it is overshadowed a bit. The second most difficult to defeat entry on this list, Super Castlevania IV is a fantastic entry to the SNES library, despite it being a remake of the first Castlevania. Despite this fact, it’s a great game on its own. It has fresh graphics that hold up surprisingly well, a phenomenal soundtrack, and revamped and eased controls, jumping, and difficulty from the original to make it more friendly to new gamers. As a sidenote, I feel I must address that I have the somewhat unpopular opinion that Super Castlevania 4 is far too easy a Castlevainia entry; the friendly fight mechanics with whipping in all directions instead of only in front of you, the simplicity of the play style with easier jumping mechanics, and the easier to defeat bosses cheapened the Castlevania feel significantly. Because of this, I would never rank it as a top 5 favorite Castlevania game of mine. (Like Eric, I consider Symphony of Night the absolute best Castlevania by a wide margin.) Despite my gripes with the ease of the game, it’s still a solid, wonderful title for the SNES, and I would play it any day. It is a top 10 SNES title, make no doubt about it. I have never hidden my love for this underrated title's underrated NES predecessor, Ghosts 'n Goblins, but I also adore Super Ghouls 'n Ghosts. It is a shame that Nintendo didn't do more with this series and let it flounder, since it’s so damned awesome and dark. SGnG took everything amazing about the first one, and upped the ante with beautiful new and old 16 bit locales, new weapons, higher stakes, while perfectly maintaining the atmosphere and feel of the original. It changed what needed changing it the correct way. It also maintained the controller-hurling, teeth grinding, curse spewing, utterly batshit insane level of difficulty, though SGnG is slightly more balanced and fair. That doesn’t mean anything to the casual gamer however, because slightly more fair than Ghosts 'n Goblins means Super Ghouls 'n Ghosts is still a monstrous and hateful curve. It takes everything you have to get through this game; it makes you earn that victory in the most horrendous ways; it is, by a wide and far margin the most difficult SNES entry I ever defeated, and it is worth every second of it.